If you like surprises, these are for you! Here at the MAD workshop, we refer to these colors as our “No Name Colors“. Unlike, our oops! colors that we usually list, these are smaller batches & would be very time consuming to take individual pictures of, upload them to the website, & add a description, etc. Each “No Name Color” will be packaged in a 5g sifter jar with a bottom ingredient label with a space for you to write a name or number on (for your own personal reference). The actual color will be a mystery to you. 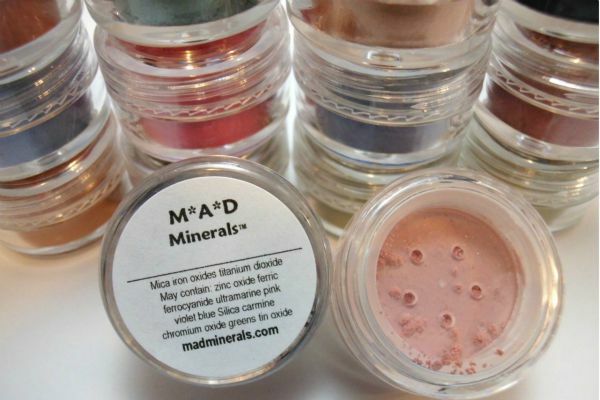 If you order more than one, we will make sure you receive a variety of shades. You will not be dispointed & receive all of one color. Sorry, there are no choices...the colors range from neutrals to bolds, mattes to shimmery sparkles & could be any color of the rainbow & then some! At this great price...you will want to have fun with the colors & grab more than one.